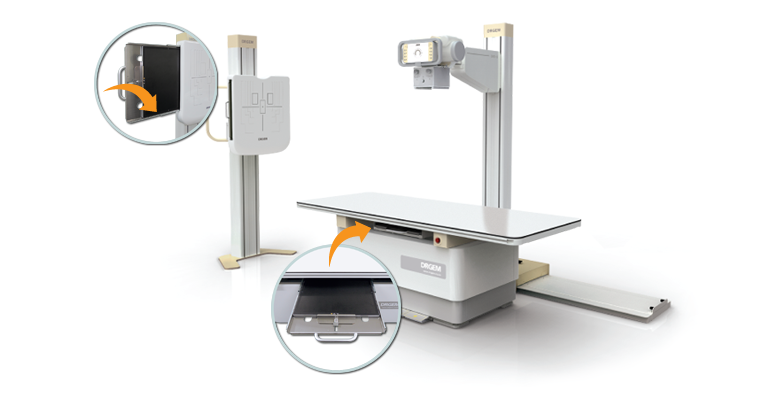 The GXR-SD Series is a diagnostic digital radiography system providing reliable high quality digital radiographic images with reduced dose. 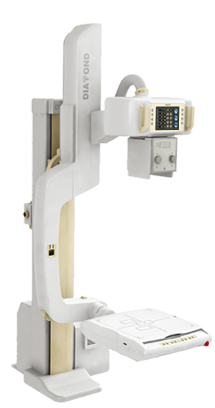 The GXR-SD DR systems provides comprehensive digital solutions to all radiography needs, featuring GXR-SD digital imaging system with stationary or portable digital flat-panel detectors, reliable high-frequency x-ray generator which has worldwide reputation on excellent performance, lifetime and stability. Also user-friendly designed various tube stands, patient table and wall stand are offered for user’s choice. 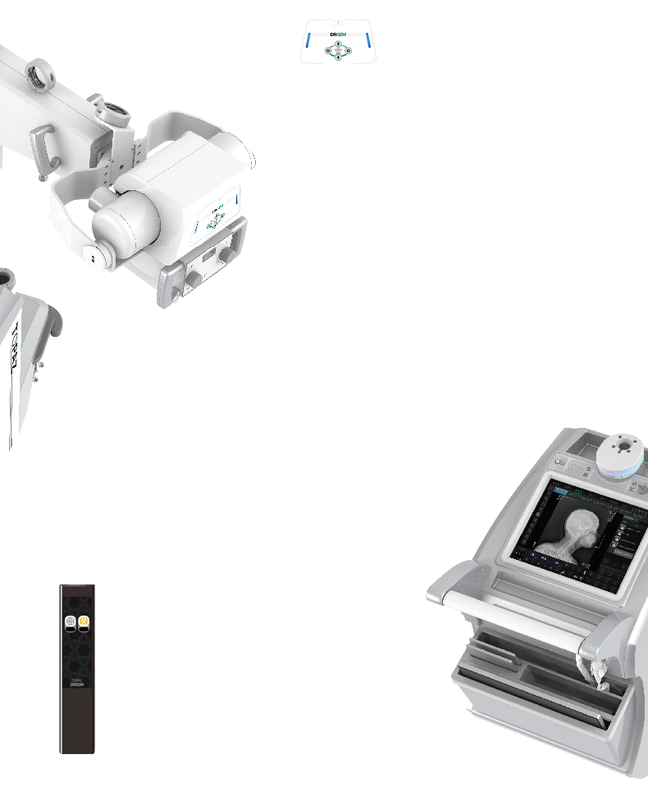 The GXR-SD Series DR system will improves your workflow, exam throughput and efficiency with excellent performance. 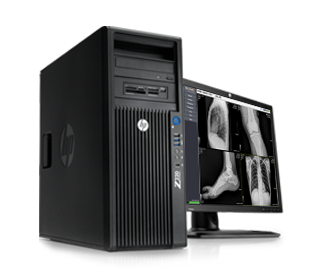 A high performance imaging workstation and software serves you a convenient interface and easy operation. Anatomical view-based digital image processing automatically optimizes and enhances the quality of the captured images. Automatic image storage and print with DICOM 3.0 networking capability increases exam throughput and decreases examination time. Take advantage of all the features digital system can offer! 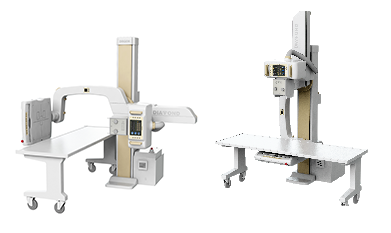 The DIAMOND DR System is a fully automatic digital radiographic system providing state-of-the-art image quality, image processing and user interface; making the system easy to use and reliable while providing high quality digital radiographic images with reduced dose. 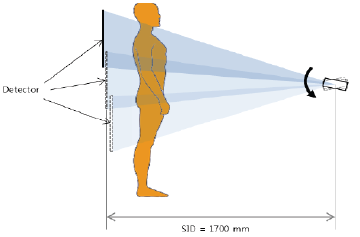 Selection of an anatomical study on the imaging software automatically sets up the x-ray generator’s preprogrammed exposure technique setting, motorized radiographic stand positioning, x-ray collimation and post image processing for selected study. Also, removable high resolution grids which have 100 and 180cm (40 and 72 inch) focal distance supplies excellent image quality per each SID. The DIAMOND DR System has been specially developed for moderate budgets and small spaces. A fully digital workflow, convenient auto-positioning, and advanced image processing, make this versatile system a sensible choice. 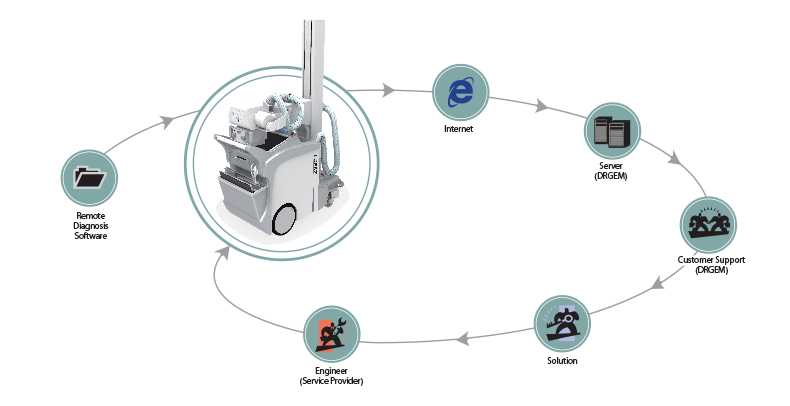 Experience the quality and value in a DIAMOND digital radiography system for all common applications! The DIAMOND DR system will serve you to achieve the big performance with small effort. Digital radiography via flat panel detector improves your workflow, exam speed and comfort with efficiency. Digital flat panel detector wirh CsI screen provides excellent spatial resolution, MTF, DQE and stability based on fine pixel pitch. A 3-field ion-chamber is provided for AEC function. 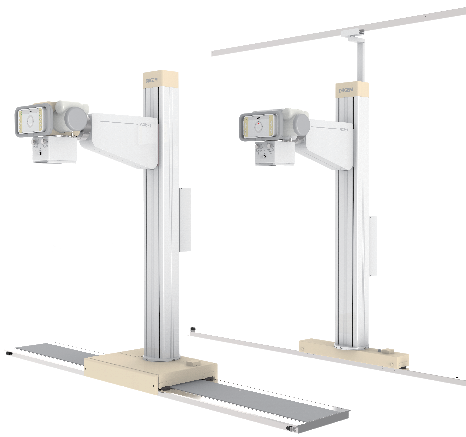 Radiographic stand has four motorized joints, and automatic positioning can be accomplished by preprogrammed data which can be easily reprogrammed by operator. 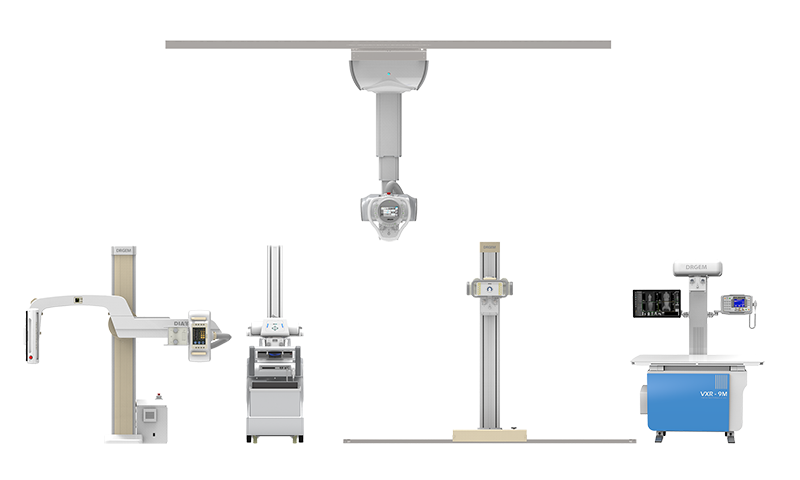 Total of seven safety sensors are located over U-arm, detector and tube side to protect against collision with patient or bstacles to control the speed or stop the positioning. Also, a mobile patient table with heavy patient load is provided for radiographic study which needs table. A remote-control is provided for remote motorized control of stand, and the movement stops as soon as you lift your finger from the key by dead-man control type. 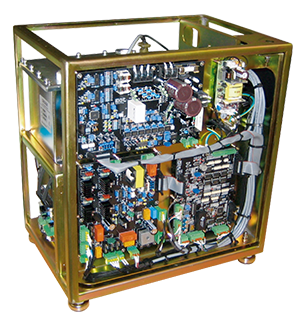 The core part of x-ray source adopts high quality tube assembly (VARIAN, SIEMENS, TOSHIBA), motorized x-ray collimator, HV cable assembly and DRGEM’s high frequency x-ray generator which has worldwide reputation on excellent performance, lifetime and stability. 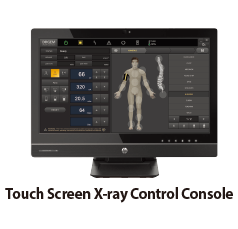 Touch screen x-ray control console provides user-friendly interface and easy technique selection. Automatic collimator supports high accuracy for selected x-ray field size over any SID. 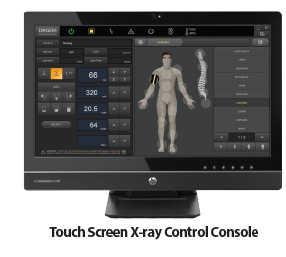 Thanks to the integrated touch screen console located in tube side, operator can easily controls the radiographic techniques and stand positioning. Furthermore, operator can verify the digital x-ray image on this screen. 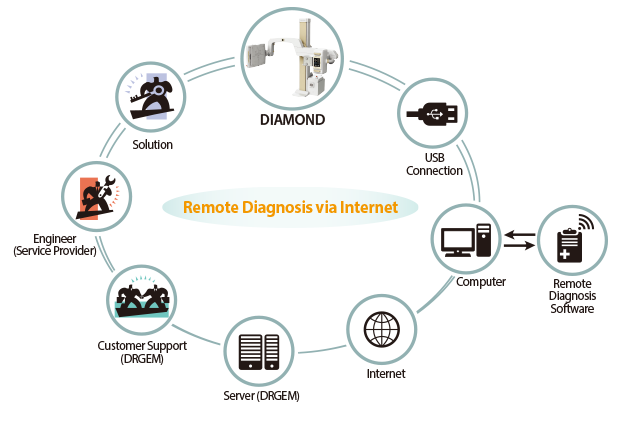 Remote diagnosis function enables fast and accurate diagnosis on problems and saves service cost and system downtime. 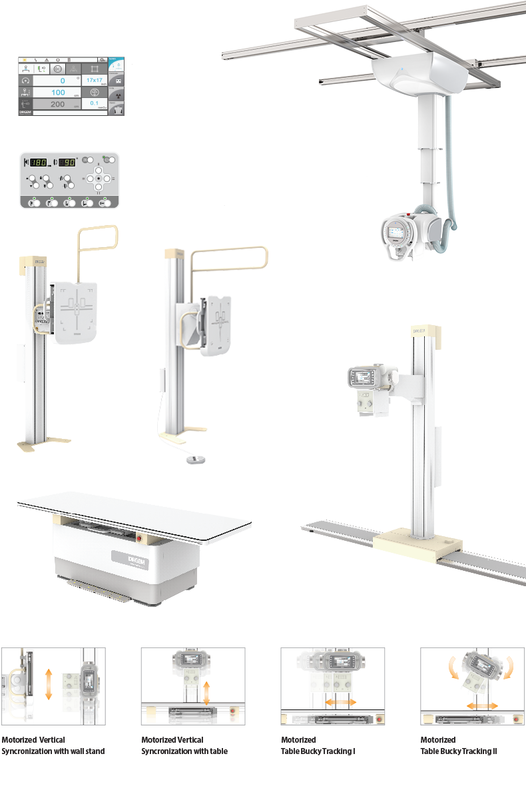 The newly designed GXR diagnostic X-ray system provides an analogue radiographic room that perfectly fits your workflow and budget, which can be easily upgraded to DR system with the help of DR interface and PC interface in the generator as well as Bucky suitable to Flat Panel Detector. 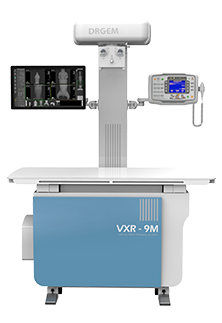 DRGEM’s GXR X-ray system is equipped with a high frequency X-ray generator which consistently produces high quality images based on high quality X-ray output with a very small kV ripple and accurate mA and timer control. 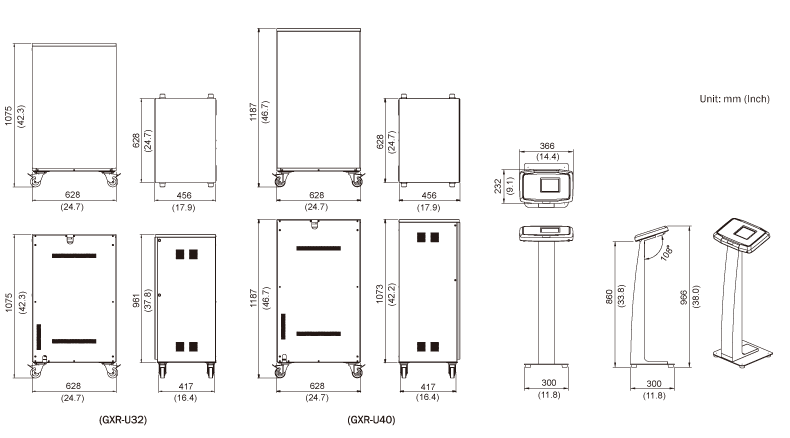 GXR X-ray system is designed for operator and patient comfort with the moving components specially designed to reduce electromechanical lock noise. 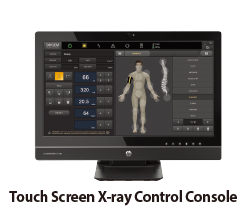 Experience the quality, durable and user-friendly operation for all applications with the GXR X-ray system! 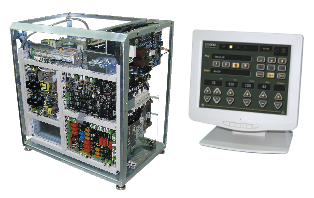 ACQUIDR is the digital imaging system composed of a digital Flat Panel Detector(FPD) and an imaging workstation with software. 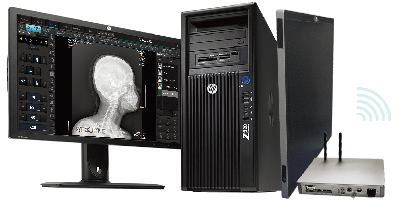 The digital FPD and fully featured imaging software with excellent digital image processing meets most of needs in diagnostic digital radiographic field. • Faster workflow after DR upgrade. 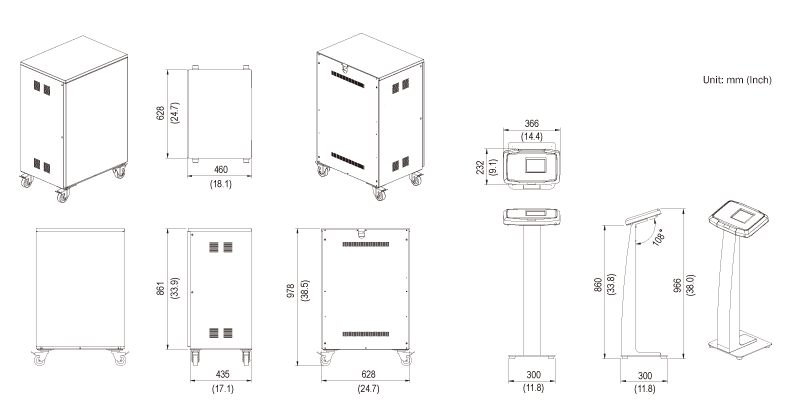 DRGEM's newly launched Mobile Digital Radiography system is developed by DRGEM's accumulated high technology and experience through a decade of experience in conventional and digital radiography system. 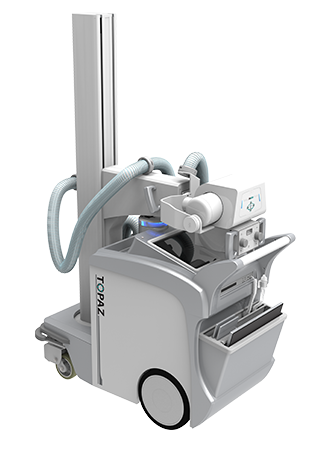 With DRGEM's TOPAZ, you can make your work easier and more productive and maxmize your satisfaction in maneuverability and digital imaging process and speedy processing. And it also provides user-friendly state of the art software to fit your needs with the highest image quality. on problems and saves service cost and system downtime. SIMPLE & EASY OPERATION! EXCELLENT IMAGE QUALITY! 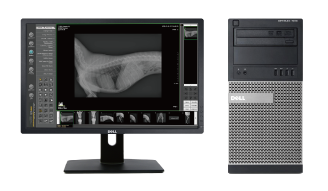 The VXR system provides your practice with instant high quality digital images of companion animals, eliminating the need for your darkroom, processor, chemicals and film, while minimizing labor costs and time. 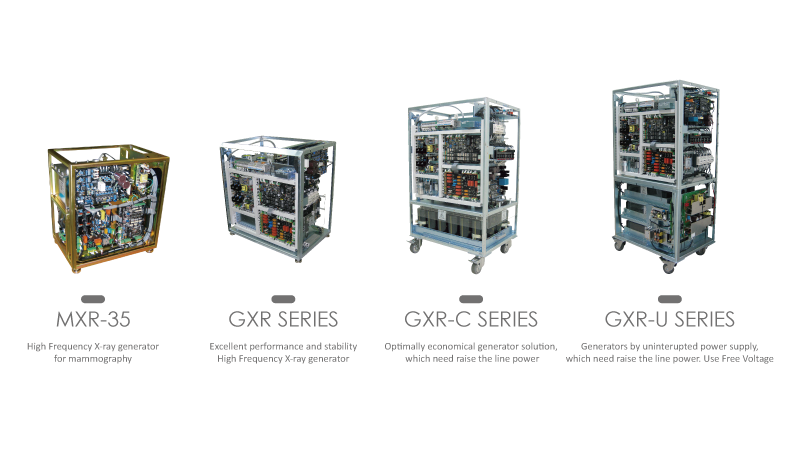 The GXR high frequency X-ray generator features excellent accuracy, reproducibility and long-term stability. 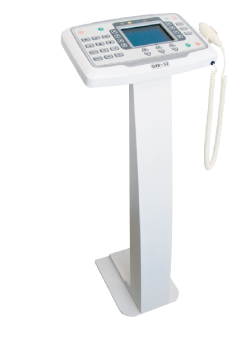 Fast kV rising time minimize unnecessary patient dose, and supply superior image quality. 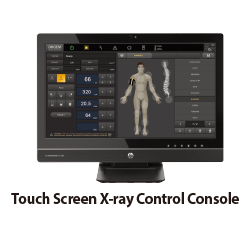 Digital image receptor and imaging software of VXR system allows you to digitally enhance and annotate images, provides on-screen measurements and transmits images for referrals and consultations. 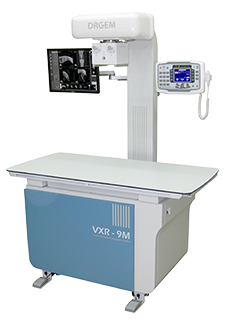 VXR system comes complete with the Digital Imaging Receptor, X-Ray Table, computer workstation and a full software package. ▪ Microsoft windows based interface. ▪ Image process parameters are selectable to maximize the preset algorithms. ▪ DICOM 3.0 standard compliance. ▪ Full resolution image within 10 seconds. ▪ Delivers improved outcomes for veterinary institutions. Excellent Performance and Stability ! 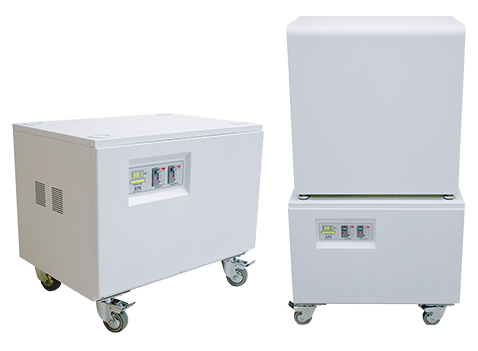 Only 3kVA line power capacity is enough for X-ray generation up to 52kW output ! Stable Operation with Internal UPS (Uninterrupted Power Supply) ! 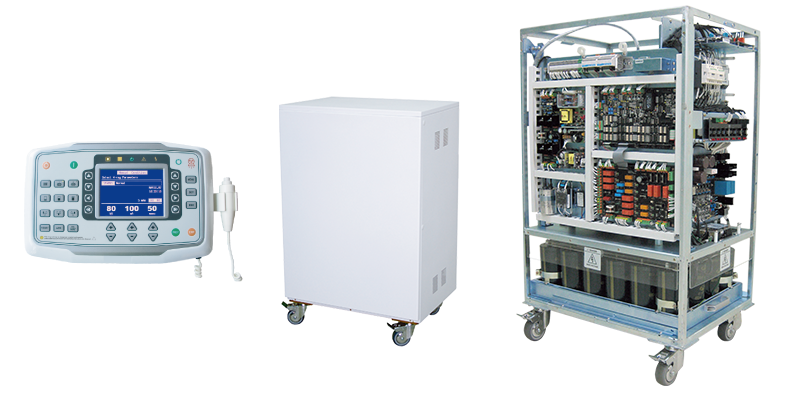 High Frequency X-ray Generator for Mammography ! • DR upgrade solution by retrofit. 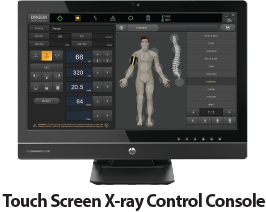 • Portable and Wireless FPD DR solution for maximum flexibility in virtually all general radiographic specialties. 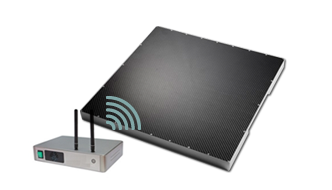 • Portable and wireless detector fits into most existing analogue x-ray system. 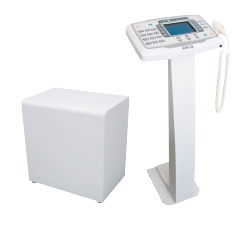 • Easy to interface with any kind of x-ray generator. The XPS-B Series DC power supply is intended for use in diagnostic radiographic x-ray systems which require power assist by lack of line power capacity. 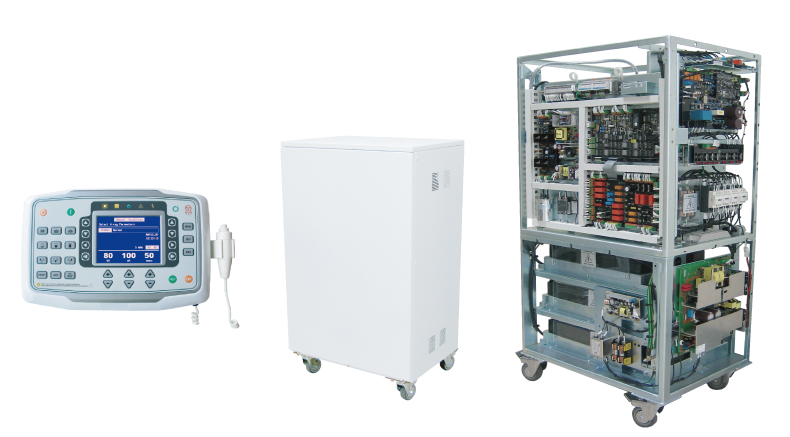 This unit assists DC power for x-ray generator to produce its rated power up to 40kW although its maximum line power requirement for charging is below 920VA. Copyright 2012 DRGEM Co.,Ltd All Rights Reserved.